Route 66 was a spur of the moment purchase. I saw the magnificent blooms whilst wandering around a nursery and one was in my cart before I knew it. The blooms of Route 66 are described a velvet black/purple. They are single (4-8 petals) and form in large clusters. The blooms form on strong stems which make them suitable for the vase. And they do last well and look smashing in a vase, particularly when matched with a delicate pink rose. The fragrance of the blooms is described as clove but can’t detect it. I must say, however, that I have been disappointed in Route 66. It is not that the blooms are not magnificent, it is just that they are not particularly prolific and the bush is not particularly robust or vigorous. It reportedly grows to one metre but mine is nowhere near that. The bush, though, is healthy, it doesn’t suffer overly from the normal rose issues. All in all, I would only recommend this rose to someone who must have a single rose of this colour in their collection. Route 66 was bred by Tom Carruth (US, 2001) and was released in Australia in 2006. Route 66 is classified as a Floribunda rose. This entry was posted in Bush Rose, Floribunda Roses, Modern Garden Roses, Rose of the week and tagged Purple rose by Glenda. Bookmark the permalink. Thanks so much Ayesha – I love the colour too. That is such a deep, rich color, Glenda, it’s a shame that the plant doesn’t live up to expectations. If it did, what a striking border these would make! Hi John, I guess they all can’t be perfect. Ella, it would be a lovely gift, but this is not one of my best roses. Pat, It is, but like I said, they are not prolific after the first spring flush. 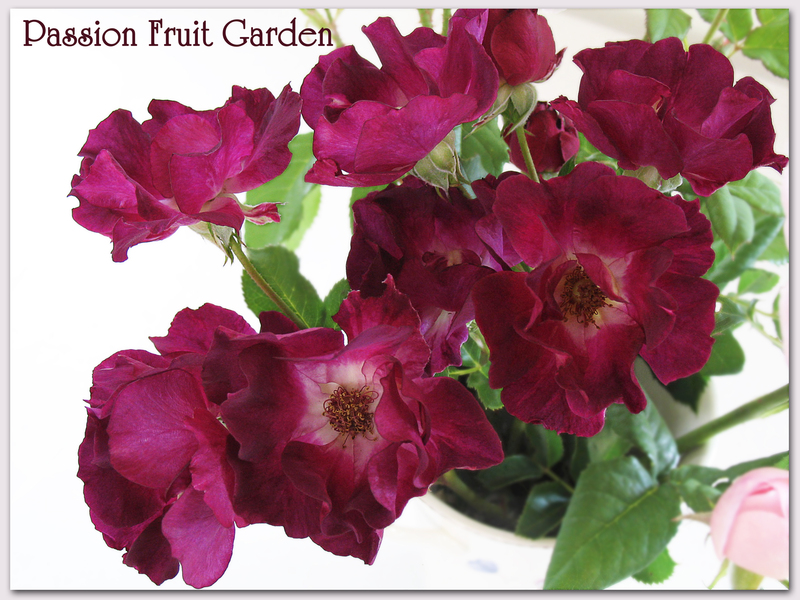 Glenda, what an unusual rose – I love the velvety-ness of it! It Is Celia, it just does not have enough of them. A lovely rose Glenda, even if it isn’t vigorous. I looked at the title of your post and thought you must have been travelling in the US! Gorgeous color on this one & you’re right – a pink with it would be stunning. So I wonder if this was named after our famous Rt. 66 in the US. Hi Diane, I think it must have been as it is a US release.